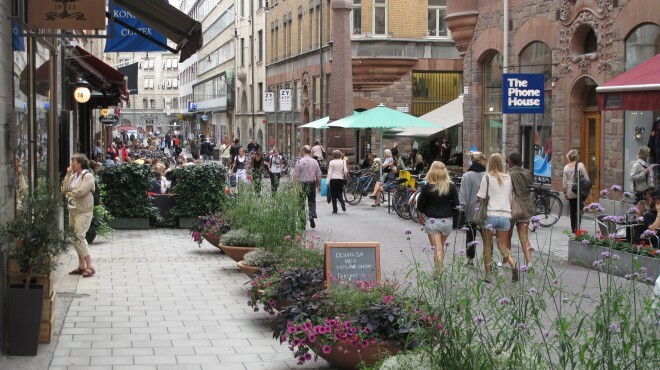 This summer, from June 29-July 1, PPS will be co-hosting the final Future of Places conference in Stockholm, Sweden – a beautiful and inspiring city that is a model of sustainable, walkable, high-quality urban living. Organized in partnership with Ax:son Johnson Foundation and UN-Habitat, Future of Places is a series of three linked meetings to promote the importance of public space and Placemaking at the monumental United Nations global summit, Habitat III, in 2016. Applications are now being accepted for an invitation to this year’s meeting, and the Call for Papers will be open until April 15th. The conference is free, but participants must cover their own travel and lodging expenses. Let your voice be heard during this important moment for the Future of Places worldwide! Though it still needs to survive a final selection process in September 2015, the ratification of this goal would mark “the UN’s strongest expression ever of the critical role of cities in the world’s future,” as Citiscope’s Neal Peirce explains. That’s a big deal! By 2030, provide universal access to safe, inclusive and accessible, green and public spaces, particularly for women and children, older persons and persons with disabilities. If this recommendation gets built into the global development agenda, it will have enormous implications for cities everywhere, and it can transform the lives of millions of people all over the world! While the conference is a once-in-a-generation opportunity, observing the everyday life and culture of Stockholm is in itself an unforgettable experience. In recent decades, the city has made many bold (and initially-unpopular) decisions that helped transform the city into the well-loved place it is today. Other major cities across the world have begun to adopt successful Swedish-based programs, such as its pioneering Vision Zero approach. To get a taste of what you’ll see firsthand at Future of Places, check out this brand new video from our friends at Streetfilms, Exploring the Streets of Stockholm. We hope to see you there! Streetfilms now segments their longer videos into short excerpts to make it easier for advocates to share individual topics. The chapters of this film are "The Walkable City," "Owning a Car in Stockholm," "Bicycling in Stockholm," and "Going Beyond Vision Zero."